Mozilla Firefox 51.0 Stable was released on January 24, 2017 to the public by Mozilla via automatic updates and on Mozilla’s website. Note: If you are reading this article on January 24, 2017, you may not be able to upgrade Firefox to version 51 yet as Mozilla may not have enabled the new version through automatic updates. Releases are always available on Mozilla’s FTP before they are made available via Firefox’s built-in update mechanism. Mozilla Firefox 51 is the latest stable version of the browser. The new version replaces previous stable versions, including Firefox 50.1, the last version Mozilla released prior to the Firefox 51 release. All Firefox channels follow the same release schedule. This means that Firefox Beta, Aurora, Nightly and Firefox ESR are updated as well. Mozilla released Firefox Beta 52, Firefox Aurora 53, Firefox Nightly 54, and Firefox ESR 45.7 today as well. Firefox 51 is the new stable version of Firefox. Firefox 52 Beta, 53 Aurora, 54 Nightly, and ESR 45.7 are also available. 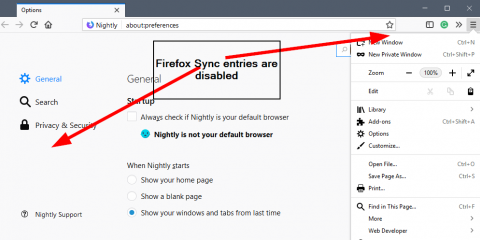 The new Firefox version adds native support for FLAC audio and WebGL2, and displays a warning when login pages don’t use a secure connection. It features other interesting new features including new privacy and security options. You may download the latest version of Firefox directly from the Mozilla website, or use the browser’s automatic update capabilities to upgrade to the latest version. Tap on the Alt-key while the Firefox window is active. Select Help > About Firefox from the menu bar that is displayed. Firefox will display the current version, and run a check for updates. Depending on how Firefox is configured, any updates found may be downloaded and installed automatically, or on user command. Mozilla Firefox 51 supports FLAC audio playback natively (in both FLAC and OGG containers). 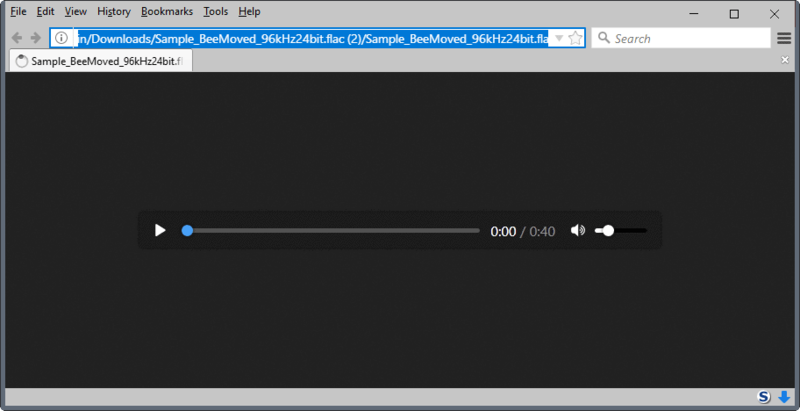 FLAC is also supported in MP4 with and without Media Source Extensions. This means among other things that you can play any FLAC file directly in Firefox without issues, and that streaming services may stream FLAC audio streams to Firefox. See bug 1195723 FLAC support / Create FLAC MediaDataDemuxer for additional information. Google added FLAC support in Chrome 56 as well. 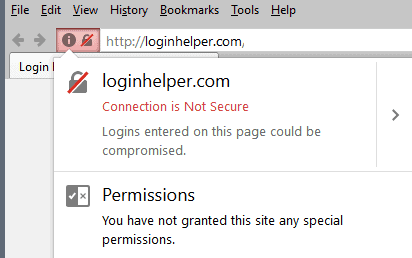 Mozilla Firefox 51 displays an insecure notification in the browser’s address bar when you visit a login page in the browser that is not using https. The notification shows the red “connection is not secure” strike-through icon when that happens. 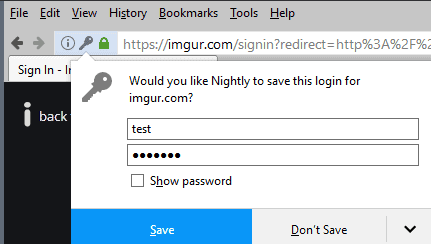 Firefox did not display any notification previously when sites used http for login pages. Google Chrome will do the same starting with Chrome 56. Privacy improvement: BatteryManager.chargingTime and BatteryManager.dischargingTime precision limited to avoid fingerprinting. This means that services cannot use the data that these two functions provide anymore for fingerprinting, as it returns a rounded value to the closest 15 minutes now. Firefox’s built-in password manager received two improvements in this release. The first adds a new “show password” option to the save dialog. This provides you with an option to reveal the password that Firefox is about to save in its database. The second allows you to save passwords for forms without “submit” events. Added Georgian (ka) and Kabyle (kab) locales, removed Belarusian (be) locale. Added support for Spatial Audio for 360 Videos on Facebook with Opus 255 Channel Mapping. Firefox 51 blocks automatic audio playback in non-active tabs. Firefox 51 has a new search reset feature. Firefox 51 shows the memory use of processes on about:performance. New WoSign and StartCom certificates will no longer be accepted. SHA-1 certificates issued by public CA will no longer be accepted. The Firefox address bar shows an indicator if the zoom level is not the default on a page open in the web browser. Enable WebExtensions in a legacy add-on type. Network Monitor shows a blocked state for network requests. Social API deprecation: Social Bookmarks API, Social Chat, Social Status API, MozSocial removed. All social widgets but the Share panel are no longer available. The IndexedDB v2 implementation of Firefox is complete now. WebExtensions APIs: idle.queryState, idle.OnStateChanged, management.getSelf, management.uninstallSelf, runtime.getBrowserInfo, runtime.reload, and runtime.onUpdateAvailable. WebGL 2 is enabled by default introducing a range of new features to Firefox such as sync and query objects, or 3D textures. WebRTC supports the VP9 codec by default now. It is the second choice after VP8. Coming soon. Release notes list no major changes. At least some of the changes of the desktop versions of Firefox are also part of the Android version of the browser. Security information is released by Mozilla after the official release of Firefox. We will update the information once Mozilla makes it available. The post Firefox 51: Find out what is new appeared first on gHacks Technology News.